What percentage of salary should a 25-year-old invest and where? The first challenge is to strike the right balance. Often you might be feeling how to manage all the corners so that everything is balanced. It is not a rocket science, but just a simple logic. Being a 25-year-old, you may have mixed feelings about your financials. At this age when you start to earn you feel like spending on anything and everything, at the same time you think about having a financially secured future. However, this is completely natural and to tackle this it is very important to start investing right from the beginning. The first challenge is to strike the right balance. Often you might be feeling how to manage all the corners so that everything is balanced. It is not a rocket science, but just a simple logic. Divide the salary into three sections namely Expenditure, Emergency funds, and the Investments. What should be the ideal composition of the salary? While the Expenditure part of the salary will deal with all kinds of expenses be it house-rent, conveyance charges, ration, bills, shopping expenses, or other miscellaneous expenses. This is the most critical component because you often tend to get wooed and end up making this portion equivalent or in some cases even larger than your entire salary. So it is very important to regulate it and assign a fixed amount to it and manage everything within that amount only. The second component is Emergency funds. In this component, you tend to save a small amount each month regularly to be used up in cases of emergencies. 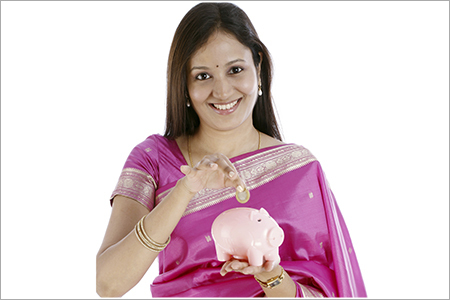 This would help you by saving on the personal loans which you would have opted otherwise in the case of emergencies. Maintain this component regularly with discipline and do not touch these funds until you actually face an emergency. The last and most important component for a financially secured future is Investment. 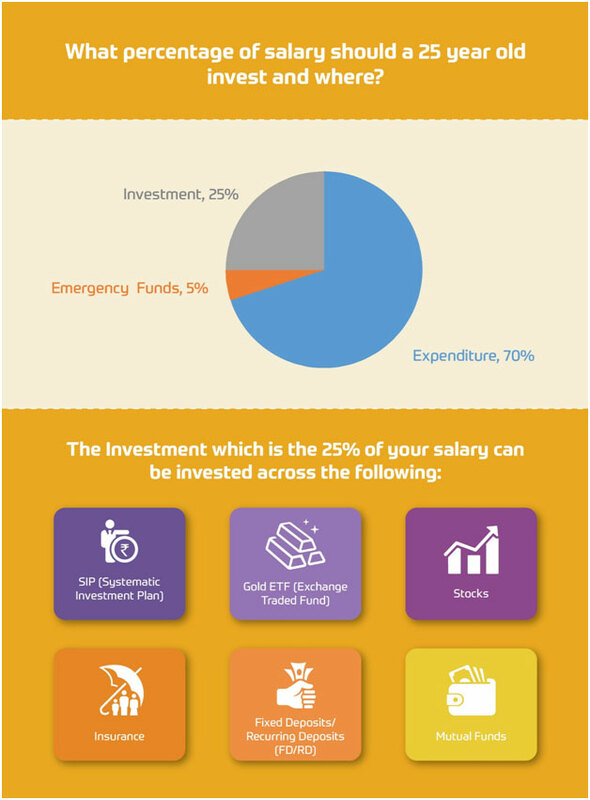 In the Investment component, you invest a fixed part of your salary into different assets across a diverse portfolio. This component is responsible for your financial security and wealth accumulation. You must take this really seriously right from the beginning of your earning days. Saving in mere Fixed Deposits will not help, you should rather diversify across different assets. This will help you accumulate wealth, manage taxes and financial freedom. What should be the percentage of these components for a perfect balance in financials? Where should you invest the Investments component i.e. 25% of your salary? There are a large number of options available in the market where one can invest. This totally depends upon your requirements, duration of investment and the mainly the risk appetite. The thing which is important while making these investments is to have a diverse portfolio. Having a diverse portfolio will help you by dispersing the risk quotient and in case some areas are heavily downed you still have a few others to count on. It is very important to be updated with the market trends, have a thorough research and analysis to get better returns. If you wish to invest for long terms in the stock market, go for the business rather than looking at the price of the stocks. This will be very beneficial for you with lower risks. Also, if you plan to opt for a Mutual fund look for the profile of the fund’s manager and the performance of the funds. Apart from wealth accumulation manage your investments from the point of view of tax deductions as well. Various investment assets like mutual funds, SIPs, insurance etc. could be very helpful in the tax management.So think wisely, look for your requirements and preferences and start investing for a brighter future.